The film stars: Emma Watson as Belle; Dan Stevens as the Beast; Luke Evans as Gaston, the handsome, but shallow villager who woos Belle; Oscar® winner Kevin Kline as Maurice, Belle’s eccentric, but lovable father; Josh Gad as Le Fou, Gaston’s long-suffering aide-de-camp; Golden Globe® nominee Ewan McGregor as Lumière, the candelabra; Oscar nominee Stanley Tucci as Cadenza, the harpsichord; Gugu Mbatha-Raw as Plumette, the feather duster; six-time Tony Award® winner Audra McDonald as Madame De Garderobe, the wardrobe; Hattie Morahan as Agathe, the enchantress; Nathan Mack as Chip, the teacup; Oscar nominee Ian McKellen as Cogsworth, the mantel clock; and two-time Academy Award® winner Emma Thompson as the teapot, Mrs. Potts. 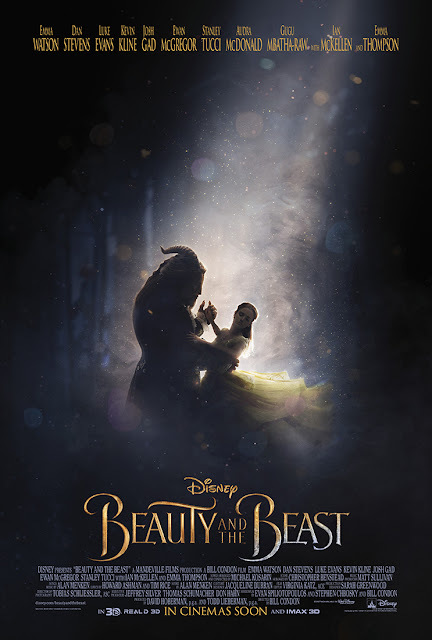 Directed by Oscar® winner Bill Condon based on the 1991 animated film, “Beauty and the Beast” is written by Evan Spiliotopoulos and Stephen Chbosky and Bill Condon. Eight-time Oscar-winning composer Alan Menken, who won two Academy Awards® (Best Original Score and Best Song) for the animated film, provides the score, which includes new recordings of the original songs written by Menken and Howard Ashman, as well as three new songs written by Menken and three-time Oscar winner Tim Rice. “Beauty and the Beast” will be distributed by Walt Disney Studios Motion Pictures International through Columbia Pictures. Like us on Facebook, WaltDisneyStudiosPH; follow us on Twitter, @disney_phil; follow us on Instagram, @disney.ph and use the hashtag #BeOurGuestPH.